The minute that Love Island came back on air, I, along with 3.37 million other people tuned in with anticipation to observe yet another summer of grafting, pie-ing and general guilty pleasure TV. Without doubt, there are a million things wrong with Love Island as a concept: the series capitalises on young people’s insecurities, parades women with one body type all over TV and chooses to immediately follow each segment of the show with ads that glorify cosmetic surgery as the quick fix to achieve your dream body. (Disclaimer: I’m not saying there’s anything wrong with cosmetic surgery, but rather, I’m criticising the decision to predominantly feature women with cosmetically enhanced bodies as the epitome of beauty). The show pits women against each other, takes away any form of female solidarity, encourages ageism and completely ignores the existence of South Asian women. But what has really affected me, and other black women across the UK, is how the show reveals the harsh realities of dating as a black woman. I often joke that Love Island is a form of anthropological research into the behaviours of mankind, but the treatment of Samira, the only black woman on the series, really hit home as a reflection of British society. As each contestant enters the villa, they’re asked the age old golden question: “What’s your type?” While some of the women talk about their love for mixed race, dark men (don’t get me started on the fetishization of black men…that’s another story), the answers that come out of the men’s lips are either blonde or brunette. In the show, Samira was never someone’s initial ‘type’, she was always second best, the go-to girl for men once their first choice was unavailable. Even Wes, one of the mixed raced contestants points out that there’s a fifty percent chance that any girl who walks into the villa will be his type because she’ll either be blonde or brunette. But what about the teeny-weeny fro’d ladies, or women donning their fabulous locs, braids and weaves? In popular culture, Black women are never seen as a ‘type’. And if men say they’re into black women it often turns into a weird fetish where we’re exoticised as animalistic, hypersexual creatures. Navigating the British dating scene as a black woman means constantly questioning whether someone will be ‘into black women’, but not in a weird way. The simple fact is that historically, whilst black men have been glorified for their masculinity (which engendered hypermasculinity) black women have never been depicted as the epitome of femininity or beauty. Therefore we have never been presented as the ideal ‘type’. It’s not about whether or not someone wants to date a black woman, that’s completely up to the individual. I’m not saying that everyone has to find every single black woman attractive. But rather, we have to look at why society is built in a way that pushes black women to the bottom of the desirability scale. Samira was one of the first women to enter the Love Island villa but yet one of the last to find love. Unlike Alex, a white male doctor who similarly struggled to find his perfect match, the minute that Samira finally met her dream man, she received next to no airtime. It was later revealed that several significant moments in Samira and Frankie’s love story were excluded from the final show. Samira was constantly depicted as the go-to girl for advice - a reflection of the black woman’s archetypal position as the burden carrier, adviser and maternal figure for others. Her own love story was robbed of any significance, as if the producers wanted everyone to know that no one cares if the black girl gets her happy ending – she’s irrelevant. 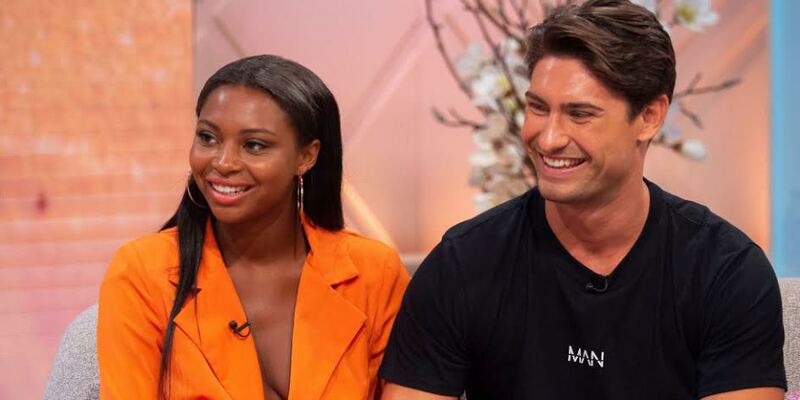 It seems like Love Island simply wanted to tick off its diversity quota. The producers, whether consciously or not, essentially decided that the black woman doesn’t fit the ideal image of beauty therefore doesn’t deserve as much airtime. It’s quite telling of a society that often pushes the black woman to the side, only wanting her presence when she’s helping her white contemporaries. Afterall, the black woman is always expected to put other people’s needs before her own. I know that many people are frustrated that Love Island has been politicized - it’s just meant to be a bit of trash TV and amusement for the long summer days. However, we can’t ignore the social issues that Love Island brings up. We need to open these conversations if we’re ever going to change and overcome societal prejudices. These conversations shouldn’t be immediately shut down because ‘we’re over-analysing a simple TV show’. The show might be over but these issues, which are so deeply ingrained in society, will continue. Black women have spent far too long looking after everyone else’s problems, it’s time for our voices to be heard too.